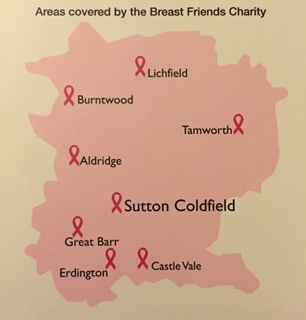 Breast Friends is a support group based at Good Hope Hospital in Sutton Coldfield, West Midlands. It is run by unpaid volunteers who have all been diagnosed with breast cancer. We are a registered charity, number 1059584.